So there is this big ‘debate’ coming up. Bill Nye is debating Ken Ham. Bill Nye the Science Guy I watched and loved as a kid, I even watched him on Stargate: Atlantis and The Big Bang Theory (yes, I am that big of a nerd). Ken Ham is a big Young Earth Creationist… from what the internet tells me. I haven’t watched anything with Ken Ham in it. The two are going to debate evolution or something like that. Now, I am a nerd, but no science whiz. If science tells me that I flip the switch and light turns on – great! If the science dudes say evolution is how it works – awesome! Well, okay, maybe I am not that unaware, but I trust the scientists to be the scientists. There is a reason, however, that I know that Young Earth Creationism isn’t scientific. Nor is Day Age theory, nor Progressive Creation, nor Intelligent Design. That reason is the Bible. You see, the creation that the bible actually describes happens very differently than the Young Earth Creationist version. First of all creation happens twice. Genesis 1 and Genesis 2 are different stories, they are not one unified entity. Read them again. Draw what you see. They will look different. Even more than that, the two accounts are written with different style and genre, they have different qualities and different ways of describing God, and most importantly they describe a 3-tiered universe (see picture). They are poetic stories from the oral tradition. The ancient people who told them and then wrote them down never wanted them to be understood as science. Genesis 1 uses Hebrew poetry to both help tell the story and help the teller remember the sequence of events. Days 1,2,3 the space for the stuff of creation is made. Days 4,5,6 the things that go in the space is created. You only need to remember the order to 3 things. Now there is a lot of textual, literary, historical, aspects of the scholarship that I won’t get into, but I think you get the point: Genesis 1 and 2 are not science text books and nor were they ever meant to be. When I was in university, I took classes on science and religion from Prof. Denis Lamoureux. He is an evolutionary biologist and a theologian. His courses were designed for science students and fundamentalists alike to better understand the “Science vs. Religion” debate. But the thing that most students didn’t know, he was actually using the science stuff to teach basic introductory hermeneutics and biblical scholarship. I took two classes with Denis. The second was a seminar where we had guest speakers representing different views on creation. One class he invited the president of the Alberta Young Earth Creation society to speak to the class. She was a woman with a PhD in botany. She came and presented all kinds of the same kind of “scientific” ideas that Answers in Genesis does. Of the 15 of us in the class, I was the only humanities/theology student. My classmates were all science majors. During the Q&A time, they debated the science, they asked questions of genetic expression, geological record, quantum physics and offered smart evolutionary evidence. This woman had answers for all of it. Then I asked my question. I asked her what she thought about canonical development, and how that affected divine inspiration. I wanted her to explain how those early church councils determined what they accepted or rejected as the canonical books of the bible. I wanted her to explain how divine inspiration worked with books written 300 to a 1000 years previously. She was the president of the Alberta Young Earth Creation society and she couldn’t answer a basic question of biblical scholarship. This is the Achilles heel of Young Earth Creationists and their kin. I am surprised that those who debate these folks don’t use biblical scholarship against them more often. I am surprised that atheists like Richard Dawkins don’t do some homework on real biblical scholarship to use against the fundamentalists he is so fond of debating. Creation pseudo science will always sound convincing enough for fundamentalists. They aren’t looking for real answers, they are looking for evidence that will support their biblical claims. If I were to talk to a Young Earth Creationist I would deal only with what the bible actually says, in Greek and Hebrew, in context, and with an understanding of ancient cosmology. I would make them deal with what serious biblical scholars have been talking about for centuries. If I was Bill Nye, I wouldn’t even bother talking science with Ken Ham. I wouldn’t legitimize his pseudo-science by making it seem debatable. Ham will have an answer for everything, and that is the only foothold he needs to sound plausible – to have Nye, a real scientist acting as if Ham is worth debating. Evolution is still a big puzzle being put together, even if we can now tell what the picture looks like. Creation science is a neat little set of pseudo theories and logical fallacies meant to prop up poor biblical understanding. If I was Bill Nye I would ask questions like my canonical development question. I would ask why St. Augustine wouldn’t convert to Christianity until Bishop Gregory told him that much of the bible was allegorical. I would ask why Roman Catholic Priest and Physicist Georges Lemaitre could propose the Big Bang Theory and still be a faithful Christian. I would ask why Genesis and all of scripture is pretty clear about a 3-tired universe. I would ask about Hebrew poetry and oral tradition. And then I would ask, why most biblical scholars, theologians and mainline denominations accept evolution with no problem at all. Bill Nye could challenge Ken Ham with questions like these. Bill Nye could really make a statement about what Young Earth Creationism and biblical literalism is about. Bill Nye could pop Young Earth Creationism’s intellectual bubble and challenge the idea that the bible is a science text book. Most christians who study the bible seriously figured out centuries ago that Genesis is not science. We figured out that Genesis is not making a scientific point, but a theological one. Genesis is not telling us how creation happened or what it happened with. Genesis is telling something though. Genesis is telling us who created it all (God) and why (out of love). Genesis is reminding the faithful of the most important things to know about creation… about why we are here at all. Many christians have known this truth about Genesis for a long time. Many christians have understood that an allegorical Genesis is not a threat to our faith, even though Young Earth Creationists are ready to stake their faith in Jesus on whether Adam (the mud creature) was a real dude 6000 years ago. And creationists do this because it is intellectually easier. Understanding the truth about Genesis would mean doing a lot less pseudo science, and instead doing some scary biblical scholarship and asking some scary questions about God and Christian History. It would mean revising stances on gender issues, sexuality issues, economic issues, and theological ones. It is really inconvenient to revise one’s theology like that, and to be prepared to do it often. But the Church hasn’t crumbled with its greatest theological minds being totally okay with an allegorical Genesis, and we won’t be crumbling any time soon. You can take the bible literally. You can take the bible seriously. So what would you say to Bill Nye or Ken Ham or me? Share in the comments, on twitter: @ParkerErik or on Facebook. If you ever have a chance to see a play called “The Savannah Disputation” you really must go. A great dialogue much like what you propose for Bill Nye. Thanks, Rev. I love this: ‘Most christians who study the bible seriously figured out centuries ago that Genesis is not science. We figured out that Genesis is not making a scientific point, but a theological one. Genesis is not telling us how creation happened or what it happened with… Genesis is telling us who created it all (God) and why (out of love). Genesis is reminding the faithful of the most important things to know about creation… about why we are here at all.’ Sharing now. Reading this and the blog about how Christians have lost the argument before it had started has added a bit more of faith in something that I cannot touch or see. Would it be fair, I know that it has been suggested in the science community by religious scientists, to say that God had a hand in the big bang and so as you say that Genesis is just describing what the young earth looked like from a human perspective? I have had religion forced onto me when I was younger and thus turned me into a non-religious person. But if what you say is true about it all being an allegory then it is just a work of theologian art? I just can’t shake the thought that science and religion are just two little brothers bickering back and forth to their mother about who is right and who is wrong. Is it fair to think like this and have such an outlook as this? Who isn’t to say that there isn’t one huge field of study that can say “I had created both of you to be equal and important and that you are both right because each of you is just only one half of the whole picture?” I really am curious. Racer 1898, you are definitely on the right track. I would point you to Denis Lamoureux’s view of creation (see link in post above) as an example of a more complementary view of science and religion. Fr. Georges Lamaitre who proposed The Big Bang theory definitely saw God behind it. The important distinction to make is that science is about knowledge. It seeks to measure, calculate, observe and quantify physical universe. Theology is about meaning. It seeks to question and understand questions like “why are we here?”. Science cannot answer why questions and theology is not always the best and answering how. They need each other to fill in each other’s weaknesses. So two sides of the same coin arguing as to who is right and who is wrong while even some who don’t want to see just one side and want to see both sides must look at the mold. But then why do people press the letter about both sides being wrong and the older Catholic Church preaching that science has no answers on some topics like how we originated. Granted I am going to express ignorance since I am not Catholic and from the films and of history records about long passed scientists that it seems like the Church was used to control? I’m just trying to sort it all out and not trying to offend anyone at all. Would it be to difficult to, I dunno, change what was taught and say that the Bible is an allegory and to actually understand what God wanted us to understand to look at the scientific side of the argument, the quantitative and the theories but always keeping in mind that he hid things for us to find to give us a purpose in life? I know it would be considered blasphemy in many circles but being from a scientific background and not very religious, I just want to see it all come together in a nice big picture. Well, actually the Vatican currently accepts that Evolution is likely the process of our origins. The bigger issue is that Genesis 1-11 are the battleground for the science vs. religion debate. And it is American Evangelicals in particular that seem to have the biggest issue. Genesis 1-11 contains the creations stories, the flood story and the tower of Babel story. After that, the bible becomes more historical reliable, but still cannot be consider a definitive history. Jesus of Nazareth is a historical figure, for example. The New Testament can be considered as several different sources in the regard. As well has historians like Josephus and Tacitus. That just doesn’t make any sense, the only thing connecting the movie the and newspaper is that they are in the same room. Like the bible, many of the books and sources are only connected because they are in the same book (as compiled by people). From what I have heard about most history is that the flood is true, that I will agree with. It’s just the whole right wing sector that has been emphasized so much that the culture has put a stereotype on the whole religion sector as a whole. That by the way is from my perspective, blasted Labeling Theory. But I do agree that the Bible is composed of many books and many authors. I agree that Adam and Eve are allegorical but I hardly think that Jesus was since he is apart of different cultures. So let’s say that passage 1-11 were just non existent, would that help to bring the world to harmony? To find the song that would unite them all and bring the world to harmony? I know it’s all wishful thinking, I just don’t want to see a complete power struggle between two things that had a hand in creating the other. It might help for Christianity to re-think Genesis 1-11, but people are too invested. There is too much time, energy and money that has gone into fighting evolution, that I think it will take generations for Christianity to get over this one. There’s nothing to rethink. Stating that Genesis accounts are different is like saying the multiple accounts of Jesus’ birth, death and life contained in the gospels makes Jesus all sorts of things. It doesn’t. It’s just another account, or restatement. It’s just an everlasting cyclical debate–on both sides. If we do believe that God has the power to create, why would it be a stretch to believe that he could create in 6 days? I’m not saying I disagree with evolution or big bang, just curious to know why it would be “unreasonable” to believe in Creationism. Allegory is tricky especially since it uses true symbols to point to other truths. So for example, if I say “the grass is greener on the other side” it can be both literal and allegorical. The grass could nevertheless be literally green, and yet the statement can also be proverbial, pointing to something beyond the truthfulness of green vegetation. 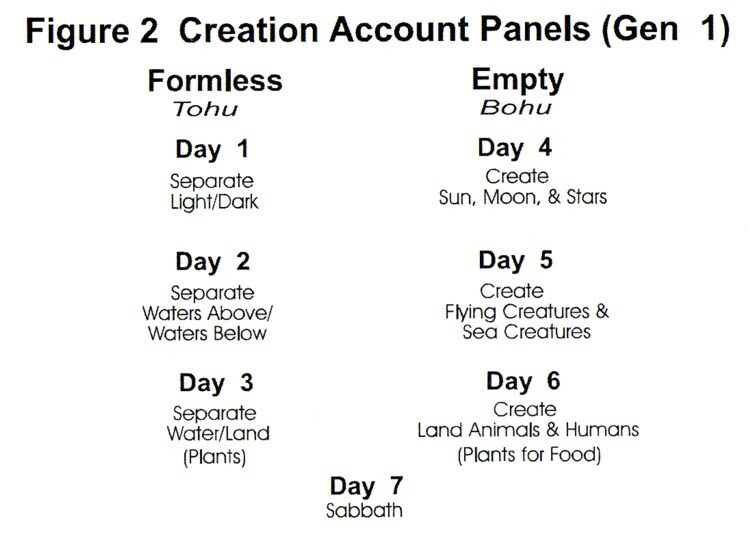 So could it be possible that a 6 day creation be literal, but that that wasn’t the writer’s focus. Her focus was to portray the Creatorship of God and the createdness of humanity. Again, I’m not saying that evolution or creationism is true or untrue, I’m just asking why it would be unreasonable to have a “both/and” on the creationism side versus the acceptance of the “both/and” on the evolution side in the form of theistic evolution. I think you raise important points, EJ. I have no doubt that God could created in 6 days if God wanted to. My bigger issue is with what Genesis actually says, which is not how Young Earth Creationists represent Biblical Creation. What makes it unreasonable, is that our world doesn’t look like the picture of the 3 tiered universe I used in my post. It is kind of like claiming that Batman is real because there is someone out there actually named Bruce Wayne. And because Bruce Wayne exists, Batman is real, and did the exact same stuff that is in the comics. Genesis’ point is not how is happened, and when we see that, the only story of how that we have to rely on is the scientific one. But like Batman comics which point us to deep truths about good and evil, about heroes and villains, about our need for someone to save us, Genesis points us to who created and why. I think that the bridge between science and religion that we are looking for to between science and religion is important. However, 6 Day creationism is neither science nor biblical. LOL… Bruce Wayne>Batman = Real Cosmology>YEC…I like it haha.. Very nice article, but it stops logically short of what it implies. I agree that it is obvious that Genesis is a very old story likely written down after generations of oral tradition. And it is surely an allegory for the cosmos. But why stop there? Can’t we accept that the notion of God as creator is itself an allegory — a mere supposition or oversimplification produced by a primitive mind to explain that which he could not comprehend? There is no logical reason to accept that the details of the story are allegorical while insisting that the subject is literal. To assume humans were intentionally created and not just a by-product of a universe in motion (sharing our aliveness with countless other entities across the universe most probably), makes sense for a provincial mind just entering the Bronze Age. But it makes no logical sense to assume any oversight by any deity was required for our development. Nor should we assume any deity would care enough to guide our growth. That someone must be in the sky moving all the levers and pulleys it takes to make the world go is a reasonable supposition for a primitive mind. It is not worthy of an intelligent being, however. The concept of God is quite an intellectual achievement, but it remains just that, a concept. When we take the existence of God literally we do ourselves the same disservice that fundamentalists do by taking the story of Genesis literally. We limit our appreciation for the vast truth that lays beyond our understanding. Call this Truth “God” if you like, but just remember there is no logical reason to assume this Vastness has agency or cares one whit about humanity. Some will argue that the Universe needs a Creator. This is debatable, but even if true, such a position would not support any reason this Creator would need to be (or want to be) involved with some moderately successful multi-cellular organisms orbiting some average star in the suburbs of a mundane galaxy. Our egos convince us we must be important. Our developing intelligence must someday realize it is simply not true. Brother Hermes, I think you miss one point. Your intellectual nature seeks logic. Emotions often are not based in logic. Belief in a Creator, in an afterlife, comforts the lonely. It tells them they are not really alone and that they are loved by someone, that they are important enough to be looked after. Belief provides comfort to the dying that they do not end, that there is more, and provides comfort to those left behind that those who have passed might be watching over them, and that they will see their beloved again. I am neither arguing for or against truth, but merely answering the question you ask of why, and why this need is still relevant today. I think a belief in a deity does not diminish or limit our appreciation for what we do not understand, for discovery, too, can stem from passion. Regardless of what religion, if any, I ascribe to, I have emotions, and when I say goodbye to a loved one, I want there to be more. I don’t want them gone. For my own comfort, I find solace in the selfish belief that there is something more. Now if we could only get all the faiths to coexist peacefully, to work together to unravel the secrets of the Universe, and to care for others with kindness! Great reply, Jaz. I enjoyed reading it and thank you for taking the time to write it. I apologize for the length of my response, but it is an area of some fascination for me lately. But that’s not what my post was about. It was about pointing out that if many of the stories of the Bible are allegorical, it is hard to argue convincingly that the subject matter isn’t also an allegory. There’s a Zen saying something like, “When I point at the moon, don’t mistake my finger for the moon”. And the meaning of course is that we can never really know external reality (or Truth), we can only point to it. And the description or story about the thing (or finger pointing at the thing) shouldn’t be mistaken for the actual thing. And I think this is what happens a lot with the Bible. Some folks take it literally word for word. This is fraught with problems, not the least of which are internal contradictions and the fact that some of what is said is provably wrong (e.g. 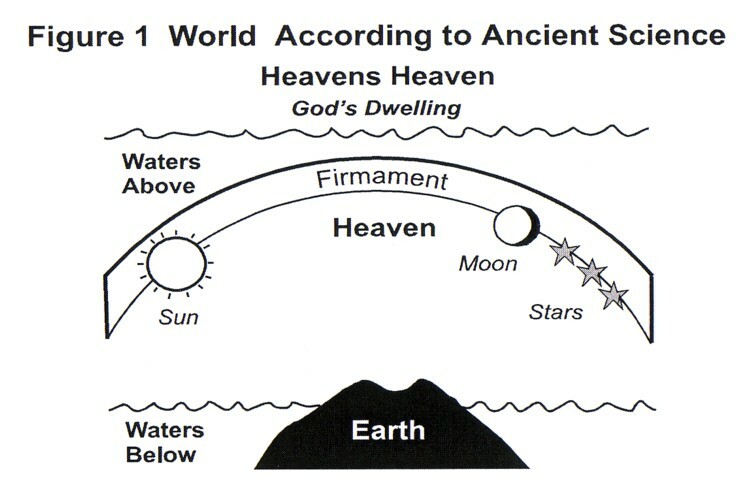 the “firmament”). So other, perhaps more reflective, folks accept that the stories are devices intended to talk about God. My argument is that we should go yet one step further and consider that our concept of God is itself just another finger pointing at the moon. People can choose to believe that God actually plucked a rib from Adam and made him a helpmate. Or they can choose to think this is a story God’s relationship with humanity. Or they can choose to see the entire notion of God as a kind of rough draft composed by a creature with a developing intellect to describe the nature of the Cosmos. When puzzling out what to believe, logic, as you rightly express, does not dictate what must be true. But everything we learn about the world suggests the universe is painted on a logical canvas, and things that are logical outcomes of other things are in far greater abundance than things which run counter to logical currents. It is possible that some greater being or even “THE” greater being took a personal interest in the development of humanity, in much the same way it is possible that I might take a person interest in a wounded bird I happen upon in the woods. But the more we learn about universe the more we must keep revising our self-centered viewpoint. The Earth was once the center of our universe. Then it was the Sun, then our Solar system Perhaps our Milky Way. As our understanding expands outward, so must our capacity to realize that whatever the universe is, we are but players in the band. This is not the one man show we assumed in ancient times. This kind of development is not coincidentally similar to how a child must learn that he is not the center of the world. In our own minds, we are, of course. That is part of the psychology of being human. Hence it is no surprise that an early pass at explaining our role in the universe suggests a personal God tending to us like a Gardner with his prized orchid. How much more likely it is that we are one of many wildflowers in a field. You do propose an interesting thought, an allegory inside an allegory. While this is within the realm of possibility, it is not likely. Writing an allegorical story about an allegorical concept of God is a convoluted interoperation of Genesis and goes against all scholarly assumptions that the simplest explanation is a better one. It is also clear, that within the framework of the biblical canon, God is not an allegory. To your point about logic: At issue are two metaphysical assumptions, for which there is no proof or evidence either way. God exists or God does not. In this case, it is in fact reasonable (and therefore logical) to make either assumption, when it comes to understanding our origins. Both assumptions lead to greater depth and meaning, and a deeper understanding of humanity. This is your site and I respect what you are doing here, so I will not argue the point further. I appreciate having been able to share my perspective. Hermes, your writing is brilliant. Is there somewhere I can go to read more? Please help me understand what the contradiction between geneses 1 & 2 is; I would like to but cannot from this text. I see two graphs and references to “three-tiered” but cannot understand what that means. Is it “three-tiered” on one hand versus “two-tiered” (days 123 plus days 456) on the other? I have turned on notification for replies, so I hope someone can enlighten me, thank you. Thanks for the reply! Good questions, hopefully I can explain a bit. The 3-tiered universe is in reference to the first diagram in the post. The ancients didn’t believe what we know about the earth (that it is a round sphere circling the sin). The biblical understanding of the universe was that the earth was a flat surface, with a hard dome for a sky. Think of a table with, glass dome sitting on top. The sun, the moon, the stars were all imbedded in the dome. Beneath the earth, was water. Above the earth was water. Above that water was God’s dwelling place. So the 3 tiers are 1. water 2. flat earth / hard dome sky 3. water again. Thus, we call that understanding of the universe, the 3-tiered universe. The contradiction of Genesis 1 and 2, is that they tell different versions of creation. They are written in different styles, they have different orders of creation, they ever refers to God differently (Genesis 1 says Yahweh, Genesis 2 Elohim). In Genesis 1 God’s speaks and creates. In Genesis 2 God creates with God’s hands. In Genesis 1 God waits until the end to created human kind (male and female), in Genesis 2 God creates the Adam (which is not a name but the Hebrew word for ‘mud-creature’), and the Adam is created first. Then God splits the mud-creature into male and female at the end of the story. There are further differences, but hopefully that explains things somewhat. Ok. I get where you are coming from here. And let me be clear, I dont think anyone’s interpretation of Genesis 1 or 2 is getting them in, or keeping them out of heaven. But holy cow. Are you really going to bring canonical development into an argument over the interpretation of Genesis?!? It IS a silly question. An allegorical Genesis? That makes zero sense because it is full of specific historical accounts, even specific “allegorical” genealogies. Maybe you are really suggesting Genesis shouldnt be included in the Bible at all. Fine. I choose to believe God is in control and gave us exactly the books he intended, exactly as he intended them, despite humankind’s best efforts to muck things up. The real reason most people have no problem accepting evolution and discarding a historically accurate (not scientific) Genesis 1 is because they dont give God enough credit. Does the trinity or free will/predestination fit with western logic/science? Of course not. 1. You don’t know either. 2. Our God is able to do more than we can possible imagine or hope to comprehend. 3. It is entirely possible God created an earth with age. He created Adam and Eve with age. They likely had bellybuttons. Why couldnt he create the earth with age as well? 4. What makes Christianity special and different is that it is a free gift. Anyone who accepts Christ’s sacrifice and has faith is granted eternal life. No works required! God could paint a big purple neon sign in the sky that says “Jesus is God deal with it” every day from 5:30 to 7. But that wouldn’t require much faith from us now would it? It follows that He wouldnt make origins explicit. 5. Ham is actually right on when he says evolution might explain a process but it explains nothing about the origin of life. It literally cant. Nye said as much. No one knows where the matter came from. There are so many holes in evolutionary science concerning how life first started, not to mention the fact that if we evolved over billions of years and have this massive fossil record… why arent there conclusive intermediary fossils showing the slow progression from one cell organism to humans? Its just that. Inconclusive. You can spend your time trying to discredit the Bible and other people’s beliefs to reconcile your desire to have things make sense scientifically… But when it comes down to inclusive science vs an all powerful God, Ill take God having a hand in things every time. Also, If you think a “big” question for young earth Christians is how Lemaitre “could propose the Big Bang Theory and still be a faithful Christian” you are not understanding what it means to be a Christian – or more specifically – how to spend eternity in Heaven. It has ZERO to do with how someone interprets Genesis 1. I dont agree with everything Ham had to say, but at least he made that point clear. Nate, thanks for taking the time to read and respond to my post. I know that what I am saying might be new to you, but trust me it nothing new to Christianity. Let me be clear. Ken Ham is a joke of scientist, but he is 0% biblical scholar. This is not about science, I don’t really care what the science says. This is about what the Bible says, and it is clear that Ken Ham has not really read the bible or studied real Christian scholarship and theology. I would agree that a Christian’s interpretation does not affect “salvation.” In fact, our salvation is wholly determined God (I would suggest reading some Martin Luther on this). I would also agree that God could create in 6 days, but that is not even close to what Genesis is talking about. Genesis is oral tradition, it is Hebrew poetry, it is a theological treatise. So yes, we CAN all know that Genesis is an allegory on the scientific points of creation. You and I also both know, that Genesis is theological truth when it comes to WHO did the creating and why. My view on Genesis is in line with the historical and tradition interpretations and theologies of Christianity. Young Earth Creation is new development, only at most, 150 years old. Thanks for responding. I think its fair to say that Ham and Young Earthers are less about “science” than about the historical accuracy of Genesis vs being allegorical. (Im still not sure how genealogies can be allegorical) Its also worth noting that Ham’s whole deal is that no one was there so both evolution and creation cant be proven by scientific methods. He main argument is that creation cant be dis-proven… and thus it deserves a place alongside other origin theories. Of course that is up for debate. It seems like you are saying you agree that God was the creator. If that is the case – why have an allegorical account at all? Why not just, well, an account? The rest of the Genesis accounts are rather… detailed. I understand the poetry side of the original Hebrew and can appreciate the factors that go into textual criticism with modern day versions and agree that some parts of the Bible are allegorical. I just disagree that the poetry and writing style (even wrapped in a theological treatise) should *definitively* taint our view of an otherwise detailed historical narrative. Again, your interpretation is allegorical, and I can appreciate that, but you can not say with 100% surety that the original author meant it allegorically. Of course no one can! You mentioned reading Martin Luther. Im sure you can appreciate then, my point that it shouldn’t matter whose view is in line with the historical and traditional interpretations and theologies of Christianity. Or that Young Earth Creation ideas are less than 150 years old. Or especially that they dont represent Christian Orthodoxy! I just don’t think its fair to take such a critical and condemning tone over a theological difference that I think we both agree isn’t eternally significant. Whatever else, Ham did present the salvation message on a stage that has been viewed over 800,000 times on youtube and no doubt raised awareness and interest in Genesis and the Bible. Young Earth or not, that is commendable. Let me be clear about where I am coming from. I am not a “liberal” Jesus seminar Christian, or Jesus as spiritual teacher and example Christian, or we are all part of the divine. However, we are also required to obtain a Masters of Divinity from an accredited Association of Theological Schools seminary. That means not just studying text criticism, but also historical, literary, structural criticisms etc… That means Greek and Hebrew. That means graduate level theological and biblical studies. I am not trying to boast in my credentials. I trying to highlight a key difference. This is the difference between professional, scholarly theology and pop theology. Ken Ham is a pop theologian, and Young Earth Creation is Pop Theology. Young Earth Creation does not really take Genesis seriously. I mean that in the kindest way possible. Ken Ham is trying to advocate Bishop Usshers addition of genealogies, not the scriptural witness. These genealogies are not historical lists. They are theological ones, they contain ages that multiplied by holy numbers like 7 and 12. The people in them are there for theological reasons. Young Earth Creation is not Christian Orthodoxy. If you notice, none of the creeds mention how many days creation took. They are primarily concerned with the fact that God did the creating. St. Augustine, the author of the doctrine of original sin, wouldn’t become a Christian in the first place unless he was assured that the Bible could be understood allegorically in parts. Martin Luther called the bible, “the manger that holds the Christ.” Professional theologians understand that the Bible is not to be worshipped, that the Bible in an incarnational book. It is divine accommodation, God speaking to us in ways that we can understand, which means in a way that is time bound, language bound, and scientific advancement bound. It means time bound for the people the bible talks about, the people who wrote the bible, and we who read the bible. For example, when Jesus says to the disciples that the mustard seed is the smallest of all the seeds on the earth, we know that is incorrect. Orchid seeds are much smaller, microscopic seeds. Does that mean none of what Jesus says is true? By heavens no. It means that it would have been absurd for Jesus to pull a microscope out from under his robe to show the disciples orchid seeds. Jesus/ God spoke to the disciples in terms they could understand. The science was not part of the message, the point about the Kingdom of God was the message. Another example, when throughout all the bible women are the only ones who are considered to be barren, we know that is incorrect. Men can be infertile too. The ancient near eastern understanding of reproduction was that sperm, eggs and wombs were like seeds and fields. Seeds were like tiny containers for miniature versions of what they flowered into – plants, or people. If the seed didn’t grow, the field was barren. So when God made women like Sarah, Lean and Rachel conceive did God use ancient science? Or is the message that God is present is creative processes of life? Here is my concern about Young Earth Creationism as an ordained Pastor with 8 years of university level theology. If my church members were eating pop-tarts for breakfast, hot dogs for lunch and kraft dinner for supper every single day, I would tell them to get some fruit and vegetables. YEC is pop-tarts, hot dogs and kraft dinner. It is a processed, unhealthy way to read the bible. Responsible biblical scholarship is the fresh foods, fruit and vegetables, fresh breads and meats, healthy wholesome food of Christianity. It is my job, my responsibility, my call, to call out unhealthy biblical scholarship. Young Earth Creationism is just that. I started confirmation in the early 90’s at a huge LCMS church in central Florida. Well by started I mean I went to the first week (where everyone is together in the fellowship hall and they explain what confirmation is) and about 15 minutes of the next week when we began genesis…Then I was asked to leave. Apparently LCMS ladies in their 60’s don’t appreciate 11-yr olds explaining evolution via basic common sense and Voyage of the MiMi. (https://www.youtube.com/watch?v=Kvz1Ey2JipI). I didn’t go back to church until after my first child was born and I felt the call to return. I found an ELCA church and the pastor decided I would be fine with a speedy self study of the Small Catechism and Affirmation of Faith before celebrating my first communion at the age of 24 and my infant’s baptism (took my entire catechism training period to find a boys gown). We’ve moved to Tennessee since then and now we belong to an amazing ELCA church, which we to drive over an hour to at least once a week. I teach my nerd children that the story of creation was a way for a younger humanity who had not yet developed scientific thought to understand how we and our environment came to be. Essentially we are God’s children, and in the case of creation- it was akin to victorians and their stories of storks and cabbage patches.